The first St. Patrick’s Day parade took place in the United States on March 17, 1762 in New York City. 16 U.S. places are named after Ireland’s capitol, Dublin. 40 pounds of green dye are used to turn the Chicago River green for St. Patrick’s Day. All these posts were shared at this week’s Motivation Monday party. Come back Sunday night at 6:30 pm for the next Motivation Monday party. With 9 hosts, your posts will receive lots of exposure! 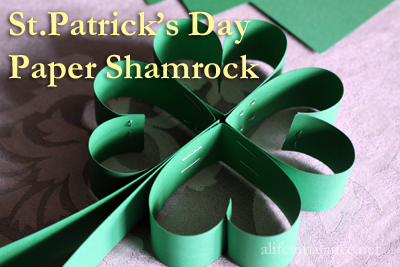 Thank you so much for sharing my Shamrock Punch recipe! This is a great round-up and I am pinning it to my St. Patrick’s Day board now. Brittanie P recently posted..All Jeans $8.88 at Crazy 8! This Weekend Only!